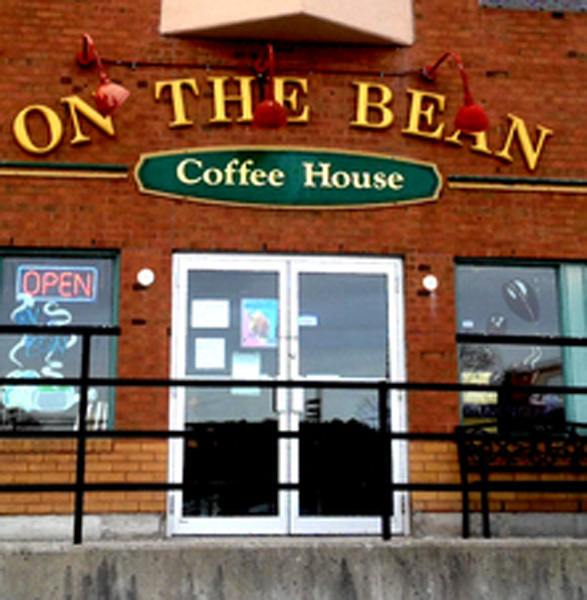 On The Bean, a fantastic cafe just off Yonge St. in North Aurora, is hosting JUZDIZRTS’ 1st Author Event for 2014. Cafe owner Frank Gu is excited to share his authentic home-style coffee house with local authors ready to reach out to the community. The event will be held Saturday April 26th, 2014 from 3pm-5pm. If you, or a writer a you know, are interested in participating in the Author Reading/Signing/Meet & Greet please contact the Event Director, Melissa Moores, using the CONTACT Tab on this page. Of 6 possible author positions, 2 are already claimed. Ideally, we would like to offer positions to new readers in order to spread the word about as many local authors as possible. Participants from previous years are invited to attend the readings and bring their wares but may not have an opportunity to read as time is limited. Should positions to read remain open after the end of February, offers to read will be extended on a first come, first serve basis to seasoned authors of the event. Come join in the fun and reach out to the community – get your just deserts today! Here’s a sneak peak at today’s author readings! Short Story Anthology Writers Sue Battle, Erika Willaert, Julie Achtermeier, & Blair Thackway have joined the JUzDIzRTS author event! 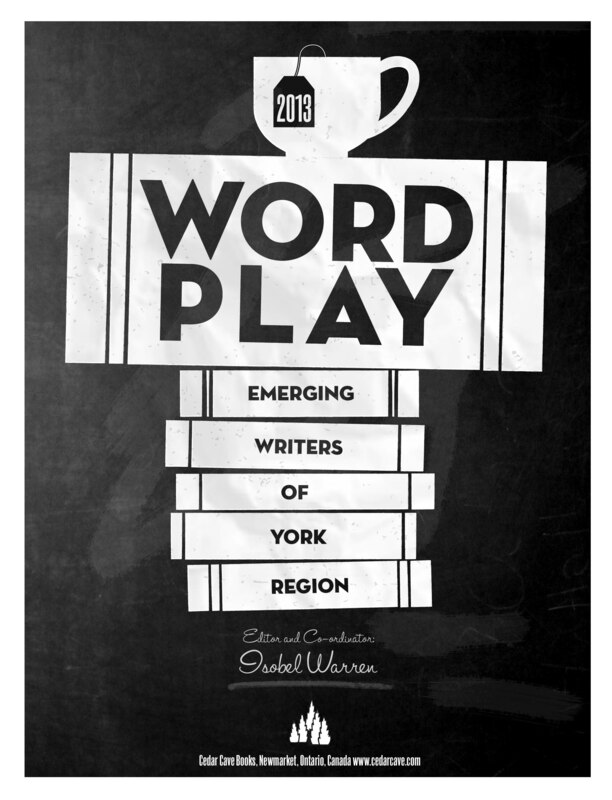 WORDPLAY 2013: Emerging Writers of York Region is a 124-page book of short stories, memoirs and poetry by fifteen students and alumni of Isobel Warren’s Right to Write creative writing classes in Newmarket. This eclectic collection ranges from sci-fi and fantasy through romance and humour to wrenching personal experiences and social commentary. Warren, editor and co-ordinator of the book, conceived the project not only as an opportunity for her talented students to be published but also as a learning experience as they come face to face with the real world of publishing — relentless deadlines, a stubborn editor, an opinionated art director, a pricey printer and all the pressures of marketing, distribution and publicity. Everyone lived to tell the tale and revel in the results of their labours. WORDPLAY 2013 – Table of Contents: Stoned for the Holidays – Julie Achtermeier; Flight – Corrie Adams; The Suit – Christine Barbetta; Grandpa – Sue Battle; A Battle of Wills – Laurie Caldi; MINE! – Leslie Jones-Lissack; Harbinger – Megan Morris; Lonely – Douglas Owen; Ray of Sunshine – Jennifer Sharko; Poems – Sneh Singwi; Molly Comes of Age – Gail Sellers; The Seduction – Ruth Tammert; Last Çall – Blair Thackway; Revelations – Mike Walczak; Titania – Erika Willaert. Sue Battle has been writing stories, poems and song lyrics for many years. Some of her poetry was included in an anthology of Soul Asylum Poetry titled Whispering Souls, published in 2006. 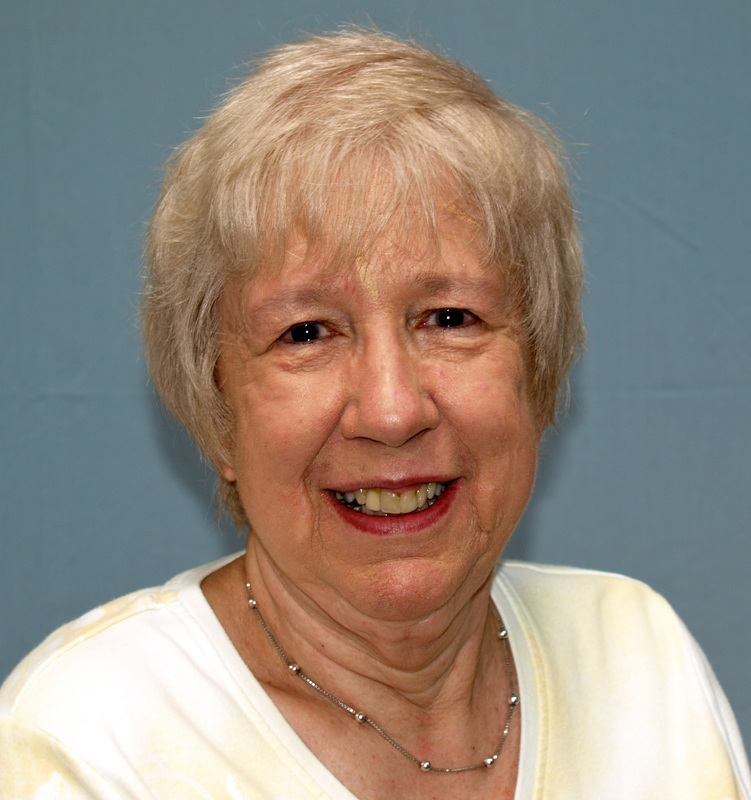 Since retiring Sue continues to pursue her writing and attends Isobel Warren’s Creative Writing classes. Grandpa: Marv, at age 70, is wracked with ill health and unhappiness. A life once filled with promise is nothing more than a tragic heartbreaking memory and now Marv just wants to be alone and spend his time fishing. The peace he seeks is shattered when a young boy comes crashing through the bush and despite Marv’s admonishments to go away, returns again and again. Their conversations reveal a need within each of them that culminates in a touching union of two lonely souls. Erika Willaert, dancer by training and a teacher by trade, revived her passion for writing after a fifteen-year hiatus. She is usually either out in the forest with her two dogs or attending a live performance or movie where she is often the loudest audience member, much to the dismay of her children, Lukas and Saskia. Titania is her first attempt at science-fiction. Her writing can also be found at http://www.commuterlit.com and http://www.kingmosaic.ca. Titania: The title was a name I heard at Janis McCallum and Elaine Jackson’s writers retreat and I took it to mean a substance of solidity and strength. I also realized I remembered the Shakespearean name of the fairy queen from A Midsummer Night’s Dream incorrectly, and my gr 6 class told me it was one of Jupiter’s moons. Or was it Saturn’s? In any event, the story is the result of blended ideas that have combined in my imagination after reading a ton of books recommended by my students in an effort to keep up with their reading response content. One of my grade 7s figured out the narrator/heroine is a cyborg, and the poetically inclined narrative is my interpretation of the many sci-fi/fantasy movies I love to watch on the big screen. Julie Achtermeier credits her father’s fantastic storytelling and her mother’s whimsical poems for her early love of writing. 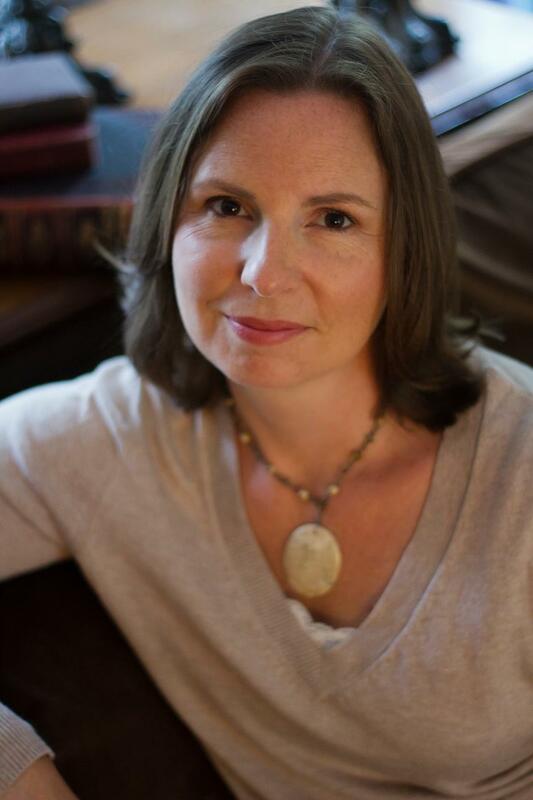 Although Julie’s humourous short stories recount some of life’s greatest self-deprecating moments, a more serious piece, “The Red Devil”, was a finalist in the 2012 CBC Canada Writes Short Story Contest. 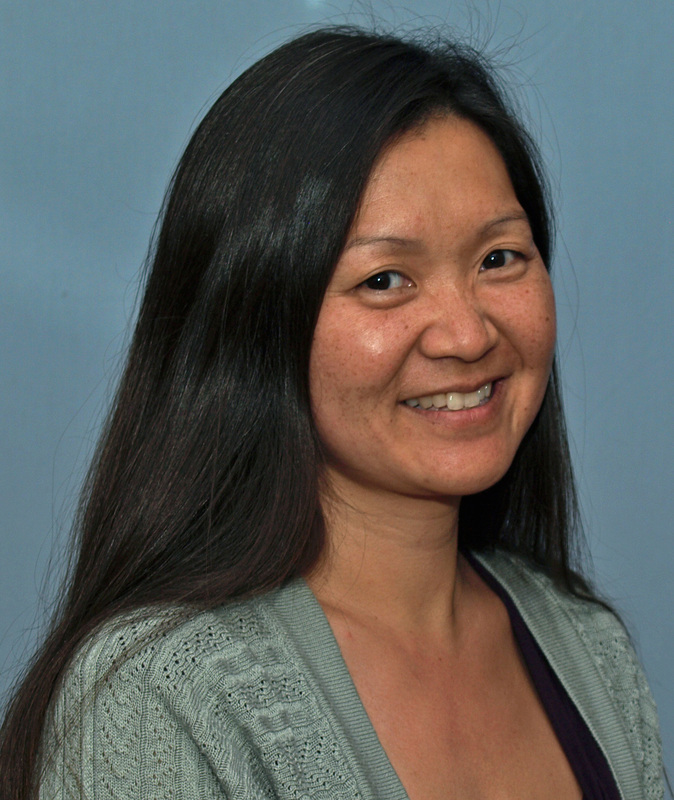 Julie is a freelance writer living in Newmarket with her hilarious husband and two adorable, quirky children. Freelance business at http://www.julieachtermeier.com. Stoned for the Holidays: A funny tale of Christmas Eve gone awry as a middle-age couple, Julie and Richard, and their two small children travel north to “cottage country” to spend a relaxing Christmas holiday among the snowy pines. Upon arrival, Richard finds himself stricken with excruciating back pain and is rushed to the local emerg where they await a diagnosis from a quirky doctor in a vacant hospital. As the clock ticks towards midnight, presents lay unwrapped and Julie struggles to feel sympathy towards her husband with so much left to do for the big day. Will they make it? Blair Thackway’s 24 years with Toronto Fire Services could undoubtedly supply him with several books full of dramatic stories. But his day-to-day life, raising his young son and dealing with the traumas of his job, have limited his story-telling time — until now. Blair recounts his own heart-wrenching, soul-destroying experiences with insight and compassion for all who pursue this dangerous and often thankless job. 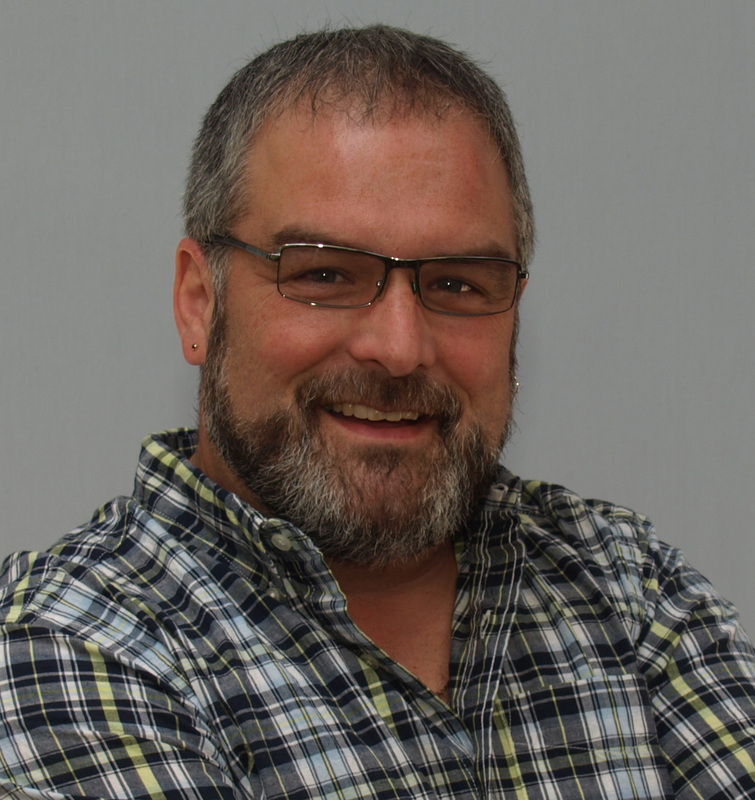 An avid motorcyclist, he enjoys spending time with his son. Last Call: The story is a play on words about having that last drink at the pub before closing time and also the last significant emergency call I attended before going off work on a medical leave of absence to seek treatment for Traumatic Mental Stress. It describes what I went through as a result of facing a horrible fire tragedy that took the life of a mother and her young child. It is my first published attempt at coming to terms with the realities of a career that I dearly love and will return to shortly. 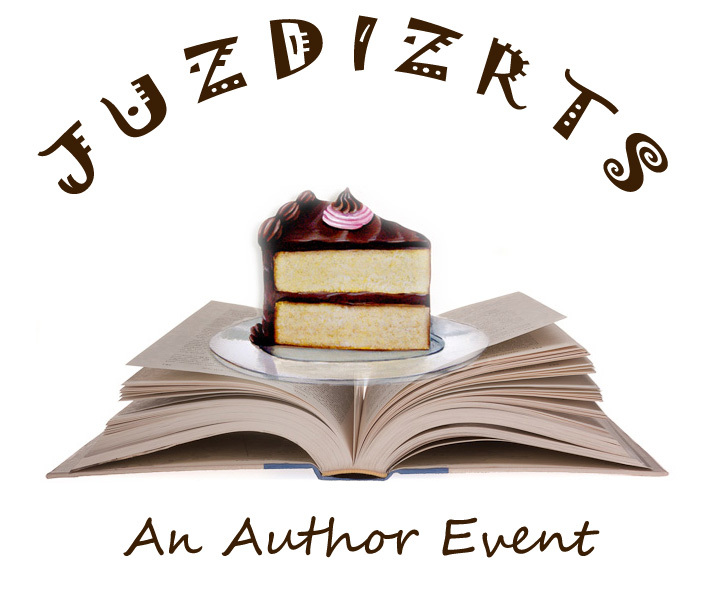 Why JUzDIzRTS as the name for an author event? It works well on a few different levels. The spoken name “Just Deserts” has dual meaning in that not only are the events being held in a Café/Coffee House known for selling deserts and other tantalizing treats, but the concept that every author deserves his or her “just deserts” for all the hard work put in to making a published work of literature just seemed to fit well. Okay, so why not call it “Just Deserts” then? My gut response to this question is simply, “What would be the fun in that?” I believe that writers need to have some reservoir of humour to pull from in order to be able to ‘plug through’ and ‘carry on’ in the face of adversity – yes adversity. Writing anything is difficult enough with all of the plotting and organization that is required just to get a work completed, and then writers today (be they self-published or newly published traditionally) now have to become publicists. If the struggle is worth it, most writers will be able to find a moment from that time of adversity to laugh at themselves and delight in the print volume they now hold in their hands. Vanity plates on motor vehicles draw the eye of drivers and passengers alike. The promise of something more hidden in the jumble of letters begs viewers to figure out the hidden message. Authors, too, work on the same premise – Not only has their work been pared down and edited into a new form and reborn for the world at large rising like the phoenix from the ash of what used to be, but the idea that there is always more to a story or poem than at first meets the eye is what often draws readers in. Therefore, in celebration for all that authors are, I wanted to highlight in a subtle way those crucial traits that make them unique and give them their well-earned JUzDIzRTS.